Simple—When you break it down into its essential components of competence, integrity, benevolence, and dependability, trust is really pretty simple. Be good at what you do. Act with integrity. Demonstrate care and concern for people. Do what you say you will do. Simple. Complex—There is a vast and complex set of variables that influence the development of trust with people and in organizations. The company culture, policies and procedures, governance systems, and the behavior of senior leaders are just a few of the organizational variables. Interpersonal variables include temperament and personality types, level of emotional intelligence, nationality, and life experiences all shape a person’s perception of trust. Powerful—Trust is the fuel that powers personal and organizational success. With it, all things are possible. People are willing to take risks, reach for the stars, and invest their all. Without it, success moves out of reach. People pull back, productivity goes down the drain, and progress grinds to a halt. Fragile—One careless act can instantaneously destroy trust that has taken years to develop, especially when the breach of trust involves a personal character failure. Strong—Trust is one of the strongest forces on earth. When high levels of trust exist, relationships can endure the ambiguity and unknown of this world. Even if trust suffers a major blow, it can recover and be stronger than before if the parties are willing to work at rebuilding it. Forgiving—Trust assumes the best intentions of others and looks to forgive when someone falls short of expectations. Trust knows that people aren’t perfect and that mistakes will happen, but people will generally prove themselves worthy of the trust placed in them. Essential—Trust is the foundation of any healthy, successful relationship. 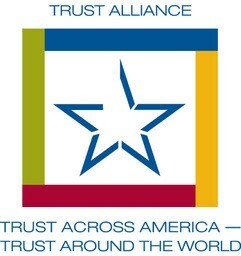 Whether it’s between people, organizations, or countries, trust is essential for mutual cooperation and respect. Earned—If you want it, you’ve got to earn it. Trust is earned over time through consistent and trustworthy behavior. Given—If you want it, you’ve got to give it. Extending trust to someone is a trust booster – it builds trust in a relationship. Someone has to make the first move so it might as well be you. Exponential—Trust feeds on itself and grows exponentially over time. One trust boosting behavior begets another, and another, and another, and before you know it, you have a high trust relationship. Behavioral—People need to see it to believe it. Words are great, but actions are better. Demonstrate trustworthy behavior in all you do and you’ll never have to worry about someone questioning your character. Leadership—Leadership is about influencing others, and if people don’t trust you, you won’t be able to influence them. Leadership and trust go hand in hand. You can’t have one without the other. That’s a great one. All the more reason for each of us to carry the banner of trust. It’s nice to see blogs from people who share the same and similar beliefs! Great article. One of the best signs of trust I have experienced and done is for the employees to know the manager will fight for them. No one has the right to demean, belittle, or dehumanize an employee – ever. Excellent point Liz. Trust is…protective. It stands up for those who need the support. trust is earn by you standing constantly on the rightful part,openness,standtall in all endeavour,prepare share to with everybody in the organisation. Be a leader with teaching abilities,prepare to share qualities that will bring trust. Trust is the absence of doubt. Excellent addition Tony! Trust provides a level of security and safety that reduces (and hopefully eliminates) doubt. Ha! Great analogy Richard. I love it! Thanks, Murray, I appreciate your feedback. I’m similar to you in that I tend to trust people first with the expectation they will be trustworthy in turn. Personality and temperament certainly play a factor in how much a person extends or withholds trust, and of course you have to use common sense and not blindly trust people in any and every circumstance. Trust is “honorable”. When one behaves and/or acts with honor in mind, integrity, trust, credibility, respect, merit, distinction, and loyalty resonate. Hi Wanda. Trust IS honorable. It adds so much value and substance to relationships and really takes them to a higher level. 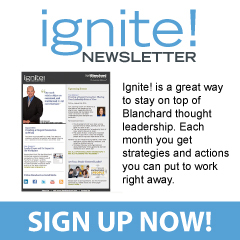 Hi Randy – my first post on this although i have been coaching with Blanchard for some time. In my experience, intimacy and vulnerability can not be left out of the trust equation; particularly in building early trust. We show trust be opening ourselves up, taking risks by sharing, disclosing, offering and this then invites the other(s) to do the same thereby deepening the relationship. Like you, I see the ability to build trust as integral to leadership – where there is deep trust – people can take risks, be creative, speak freely about what is really going on, grow … etc. Excellent points Juliet! 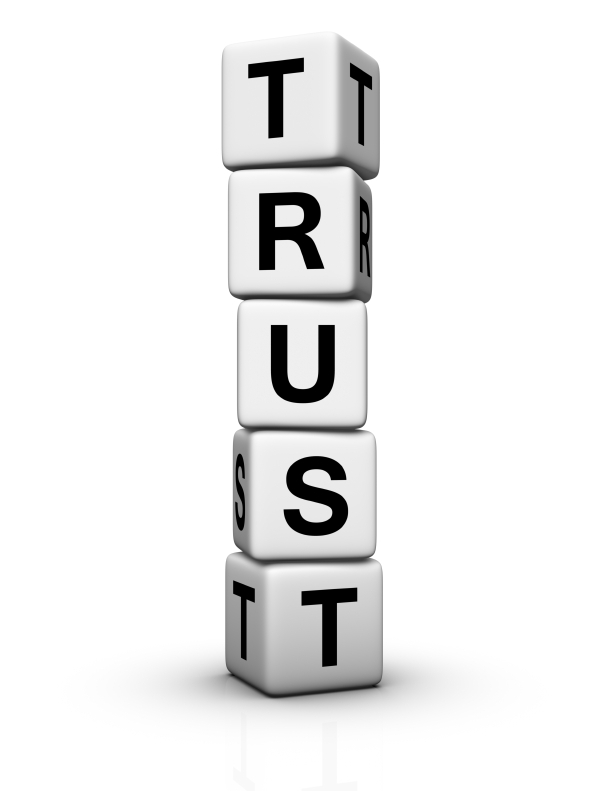 I agree that trust is being vulnerable, and most often we express that by sharing information about ourselves. Disclosing information about ourselves (opening the Johari Window) sends the signal to others that we’re willing to trust them with the information we’ve disclosed and (hopefully) they can feel comfortable in being vulnerable in return. That’s an excellent addition Earnest. Trust is security, because you are confident in letting your guard down with someone you trust, knowing that they won’t take advantage of you. I agree Paul. At its core, trust isn’t that complicated. Sometimes we get in our own way and make things more challenging. Trust is foundational. Without it, relationships cannot be built nor sustained. Excellent addition, D’Anne. I agree with you! Work relationships and productivity fail when management thinks they can bully trust and respect out of subordinates. In the end folks neither trust nor respect the manager. Subordinates become very crafty and devote quite a bit of valuable time to out maneuver these beasts. In addition, the folks in the trenches do just enough to get by and typical do not look out for the bully manager’s back, the extra stuff that makes teamwork successful. All work is teamwork! It makes me wonder how some miss the valuable trust thing, seems so simple to me, like the age old Golden Rule – Do Unto To Others as you would have them Do Unto You.